There are over 4,000 two-and four-year public and private institutions of higher education (IHEs) in the United States totaling over 15 million students and several million staff, faculty, and visitors (U.S. Department of Education, National Center for Education Statistics, Digest of Education Statistics, 2006). Each of these institutions has a commitment to ensure the safety and general welfare of those on their campuses and to provide appropriate policies, procedures, and strategies to maintain a safe campus. Because of recent violent crimes, natural disasters, and other emergencies or crises, colleges and universities are convening committees and task forces to reexamine or conduct a comprehensive review of policies, procedures, and systems related to campus safety and security. 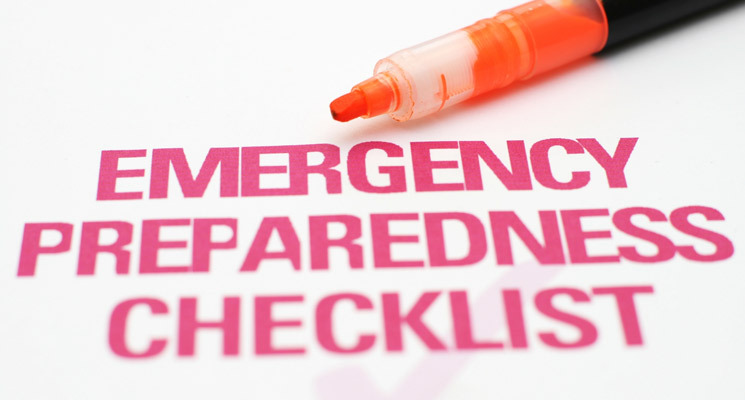 As with many critical areas on the agendas of administrators, campus safety requires building support and conducting a thorough and systematic process to produce a quality plan to prepare for and manage emergencies on campus. University Police to test its lock-down procedures on Tuesday, October 6, 2015 at 10:00am. Watch community announcements for more information. In the event of an eminent weather related emergency affecting any of the campuses of Bridgewater State University the university is prepared to utilize a number of notification methods to reach those that may be in harm's way. Click on the link above to learn more information about your safety while traveling abroad. Information on signing-up for our emergency telephone and texting system (community members only). The Bridgewater State University Police Department is prepared and trains annually in the event an active shooter incident should take place on the BSU campus. In addition, the BSU police routinely give presentations throughout the campus to train students, faculty, and staff on how to protect themselves in an emergency. Click to learn about the Bridgewater State University Public Safety Committee. An active shooter is a person who is actively engaged in killing or attempting to kill people in a confined and populated area. In most cases, active shooters use firearms and there is no pattern or method to their selection of victims. These dynamic situations evolve quickly and are usually over within ten to fifteen minutes. This demands immediate deployment of law enforcement resources to stop the shooting and mitigate harm to innocent victims. Faculty, staff, and students must be prepared both mentally and physically to deal with the situation. The Bridgewater State University Police Department advocates preparedness for this type of incident and pro-actively instructs members of our community on the “Shots Fired on Campus” from the Center for Personal Protection and Safety. Below are guidelines for those who may be caught in an active shooter situation and a description of how to react and of what to expect from responding officers. • Go to a room that can be locked or barricaded by using available material. • Close the window blinds, turn off the lights and get everyone down on the floor so that no one is visible from outside the room. • Spread out and seek concealment behind walls, desks, file cabinets, etc. • Have someone call 9-1-1 using a cellular telephone or call 911 from any campus telephone. Be aware that the 911 system will most likely be overwhelmed. • Unfamiliar voices may be the shooter attempting to lure victims from their safe space; do not respond to any voice commands until you can verify with certainty that they are being issued by a police officer. • If possible, secure the room you are in by either locking or barricading the door using available material and follow the same procedures described above. • If you cannot secure the room, determine if there is a nearby location that you are able to reach safely and then secure or if you can safely exit the building. • If the active shooter enters your office or classroom, there are no set procedures. The decision to flee or seek shelter inside the room can only be made by you and is dependent upon the circumstances. • Try to remain calm, it will aid you in decision making. • Call 911 if possible, and alert police to the shooter's location. • If you can't speak, leave the line open so the dispatcher can hear what is taking place. Usually the location of a caller can be determined without speaking. • If there is absolutely no opportunity of escape or concealment and the shooter is not actively firing on victims it might be possible to negotiate with the shooter. • If the shooter has fired on victims you are faced with a life or death situation; only you can consider your next course of action. • After all other options have been exhausted, you may be faced with the decision to overpower the shooter with force by whatever means necessary. • If the shooter leaves the area and the environment appears safe, proceed immediately to a safer place. • Do not touch anything that was in the area of the shooter because of the possibility of explosives being left and the destruction of crucial evidence. • Make sure you have an escape route in mind. • Keep your hands visible, and follow instructions given by any police officers you may encounter. • If you know where the shooter is located, tell the officers. • Remain at the designated assembly point until you have been released. • Do not drive off campus until told it is safe to do so by police. • Do not try to move any injured people; leave them where they are and notify authorities of their location as soon as possible. • Responding police officers are trained to proceed immediately to the area where the shots were last heard; their purpose is to stop the shooting as quickly as possible. • The first officers to arrive will not stop to aid injured victims; rescue teams composed of additional officers will follow the first team into secured areas and remove injured persons. • The first officers on the scene will likely be from the University Police Department. Depending on the situation, they may be joined by officers from different agencies and dressed in different uniforms. There may even be some officers in civilian clothes wearing an external bulletproof vest. Some officers may be dressed in Kevlar helmets and other tactical equipment. They may be armed with rifles, shotguns or handguns. Do as the officers tell you and do not be afraid of them.